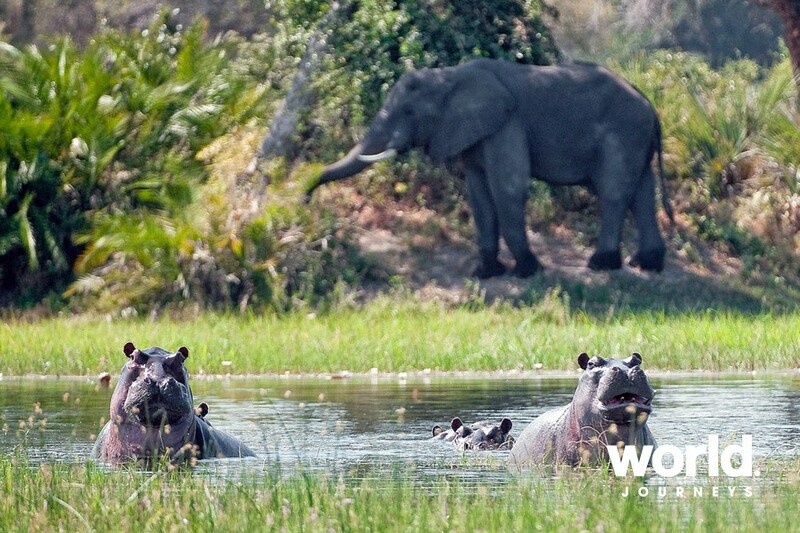 Summertime in Botswana offers a truly rewarding and relaxing experience! 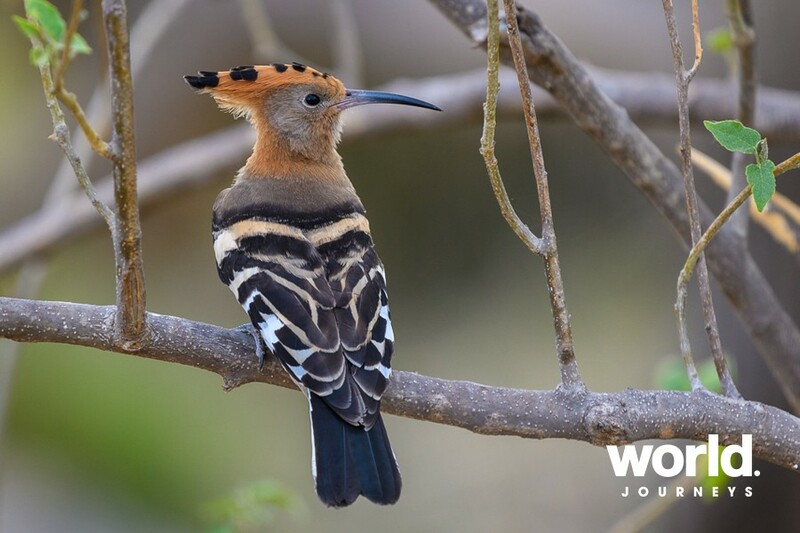 Less visitors mean a more exclusive experience, incredible birding at this time of the year and baby animals are abundant. Photographic opportunities are also incredible and after a little rain shower, when the clouds begin to clear and the sun beams through the resulting images are the stuff of some incredible photos. 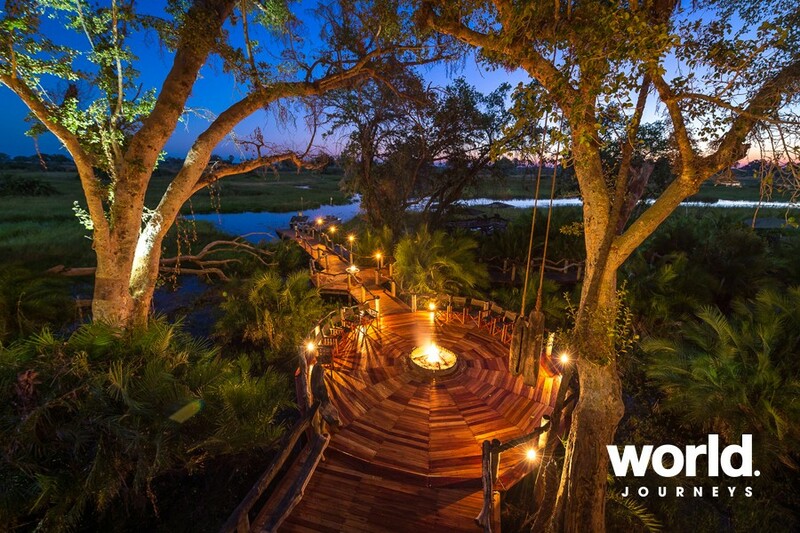 Our itinerary combines the UNESCO wetlands of the Okavango Delta with another exceptional safari destination, the Linyanti Wildlife Reserve. 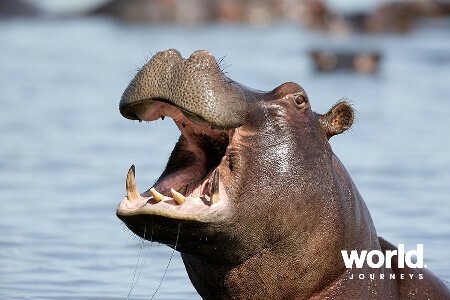 Elephants are the prime attraction, although all kinds of antelope, lion, leopard, cheetah and wild dog also inhabit the area. 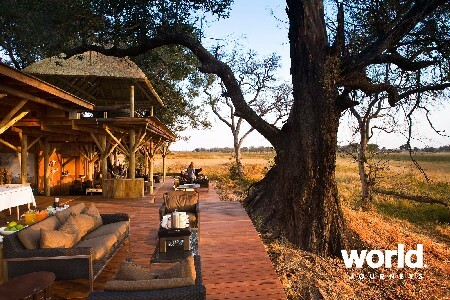 Classic camps offer an engaging safari experience in wilderness areas. 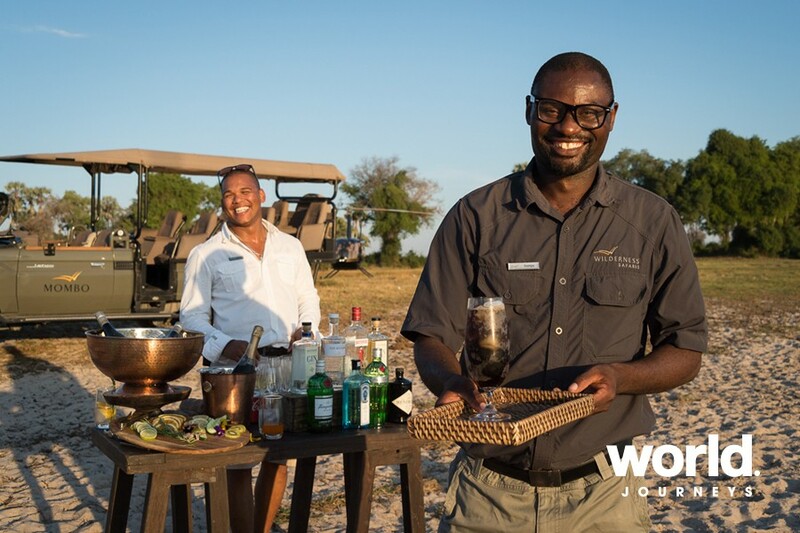 Enjoy a relaxed atmosphere with activities such as game drives, nature walks, boating and mekoro excursions. Day 1 - Depart Kasane. 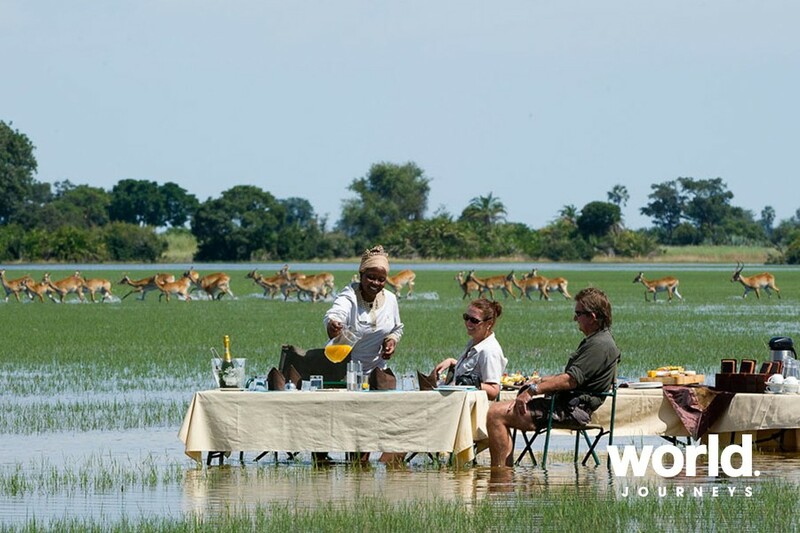 Light aircraft to Savute / 2 nights Savuti Camp Savuti provides front-row seats to amazing wildlife viewing and the mysteries of the ebb and flow of the Savute Channel waters. Perched high on the banks of the Channel, the camp looks down on a miraculous ribbon of territory that has been both savannah and river over the last few years. 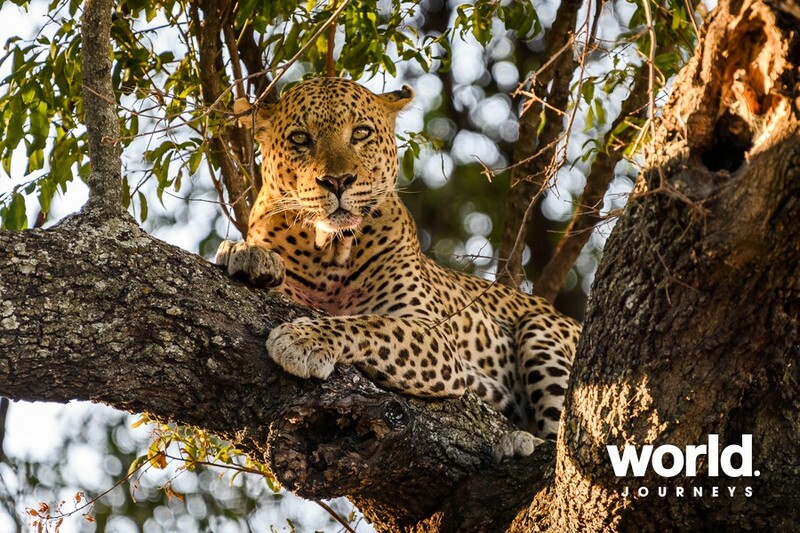 Whether experienced in a dry, wet or transitional phase, the area has always been renowned for its game viewing. It holds a magnetic attraction for elephants, amongst other plains game and predators. Large canvas-and-thatch rooms (including a family unit) face the channel, and activities vary with the changes in the landscape. INSIDER TIP: Get up close to elephants at the camp's log-pile hide and watch as they play and quench their thirst at the small water pan. 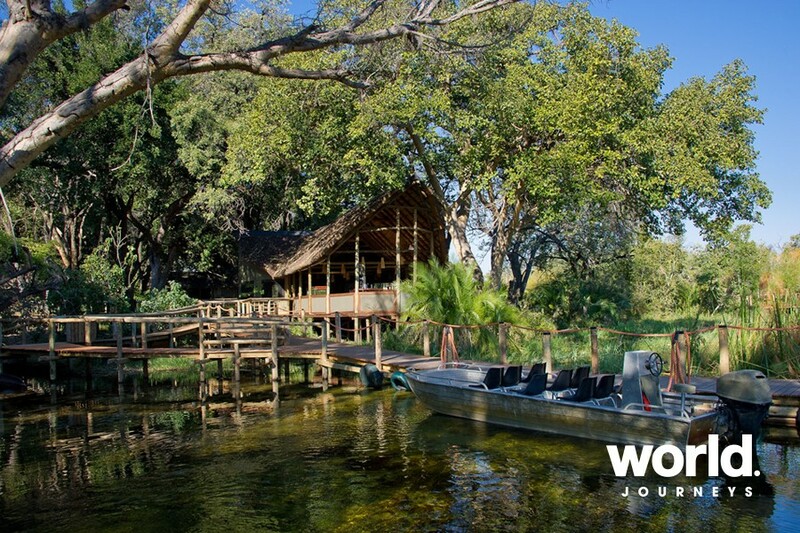 Day 3 - Light aircraft to Okavango / 2 nights Xigera Camp "Paradise Island" is a fitting name for the location of this water wonderland camp, deep in the Okavango Delta. The ebb and flow of the annual inundation shapes this area of islands, channels and papyrus beds. Seasonal boat trips to shallow water lagoons enable swimming and other truly immersive experiences. 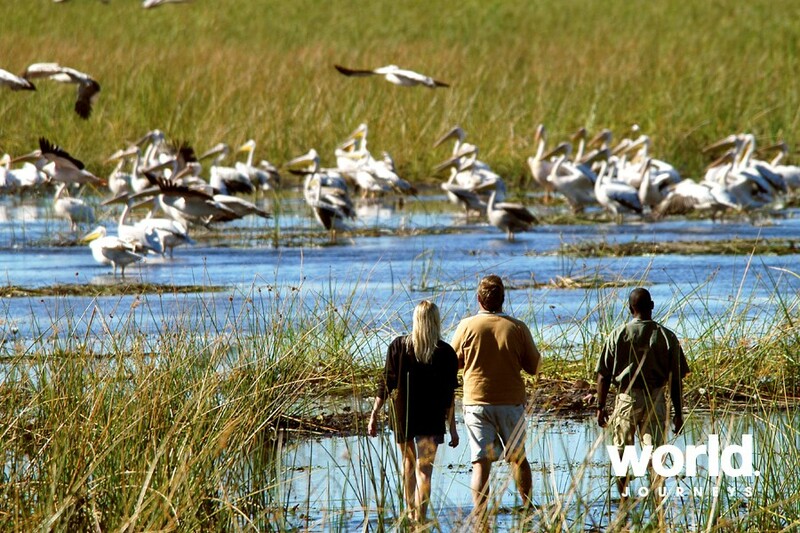 Mokoro excursions are a speciality, as well as game drives on the productive Nxabega Island. 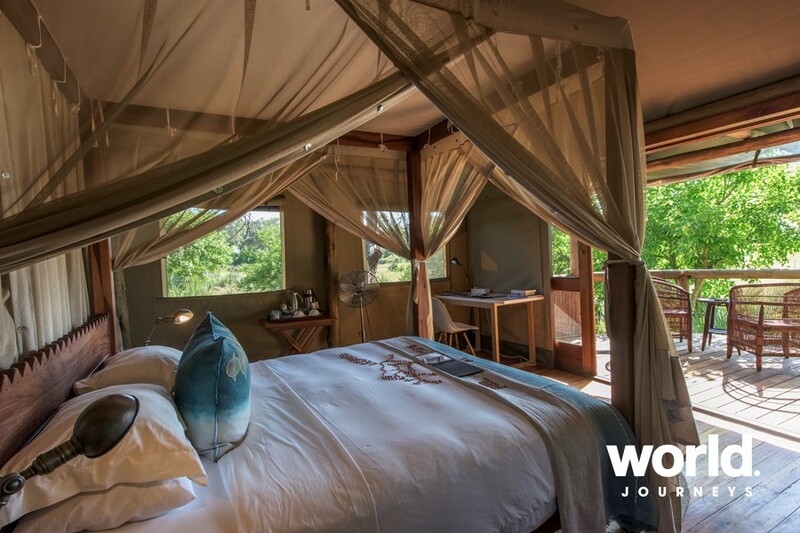 Xigera comprises nine luxury tents nestled between giant riverine forest trees, and connected by an elevated walkway. A highlight is reading the 'morning news' - the tracks of nocturnal visitors left behind in a sandpit on the bridge. 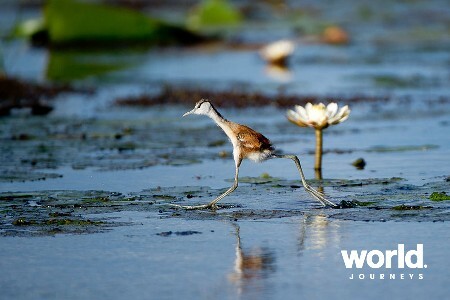 INSIDER TIP: This is the land of the elusive sitatunga antelope and Pel's fishing-owl. Keep an eye out for these and other specialty sightings as you float along the serene channels of the Delta. 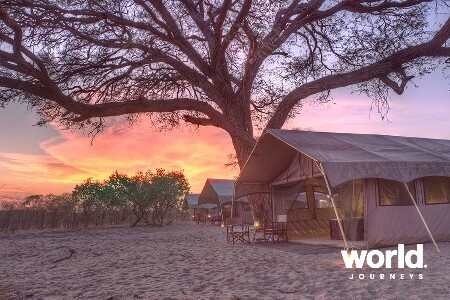 Mombo Trails: A nostalgic look back at our roots as safari pioneers in Botswana, Mombo Trails Camp is a light footprint tented camp that has been specially erected to provide accommodation during the rebuild of Mombo Camp. 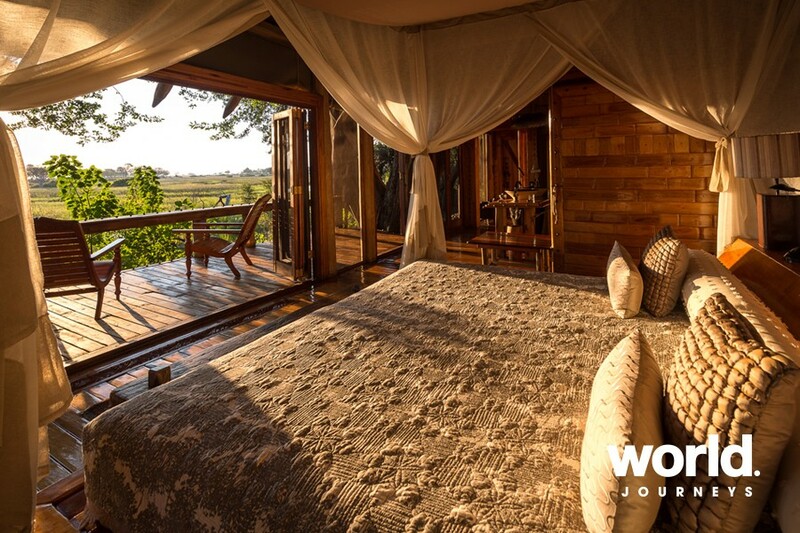 Eight elegantly furnished and spacious guest tents (16 beds) with en-suite facilities are situated on slightly raised decks to minimise impact on the site. Under massive jackalberry trees, the central living and dining area with small library overlook the floodplain. 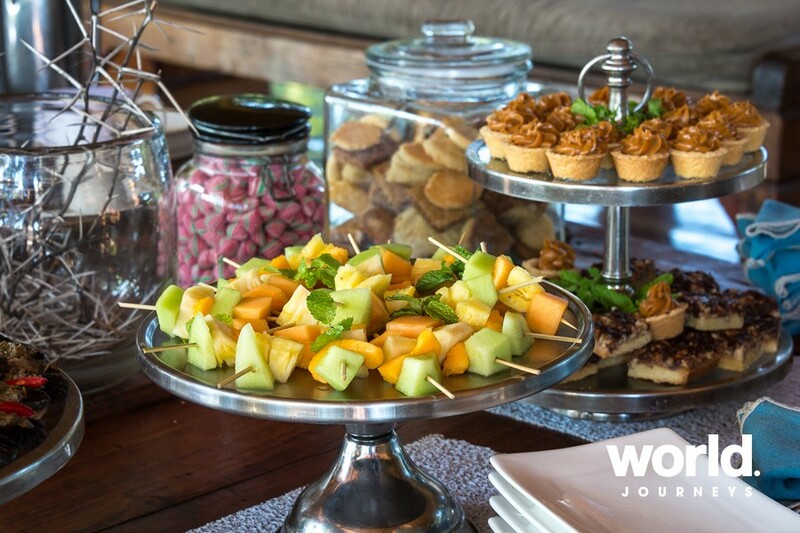 Delicious meals are enjoyed here or around the campfire to relive the history of one of our longest-running camps. 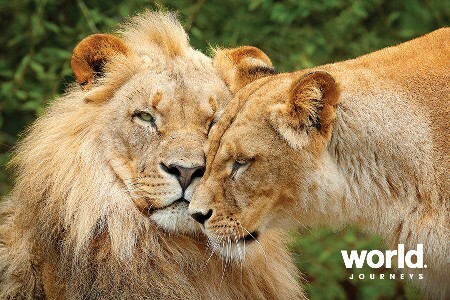 Day game drives take place in open 4x4 vehicles and yield all of the wealth of this wildlife-rich area. 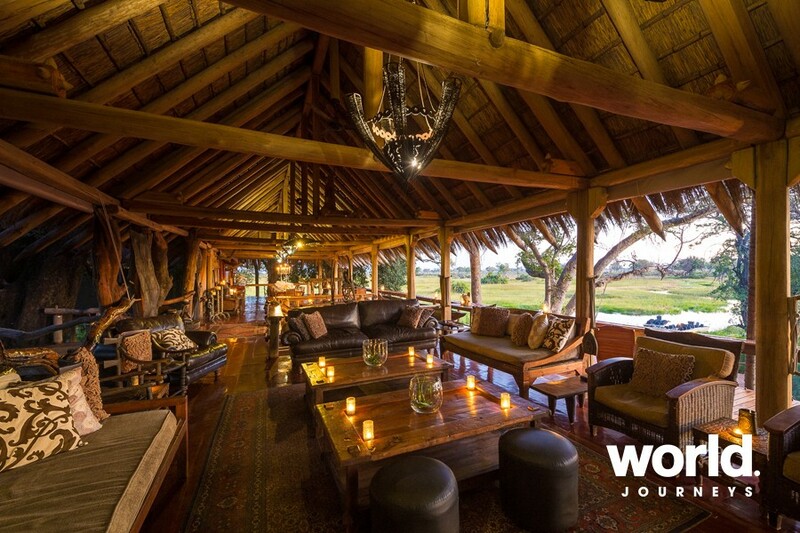 Jao Camp: Jao is the most luxurious water camp in the Okavango, the first to challenge the conventions of safari architecture, elements of bespoke design and individually-handcrafted finishes that are found throughout. 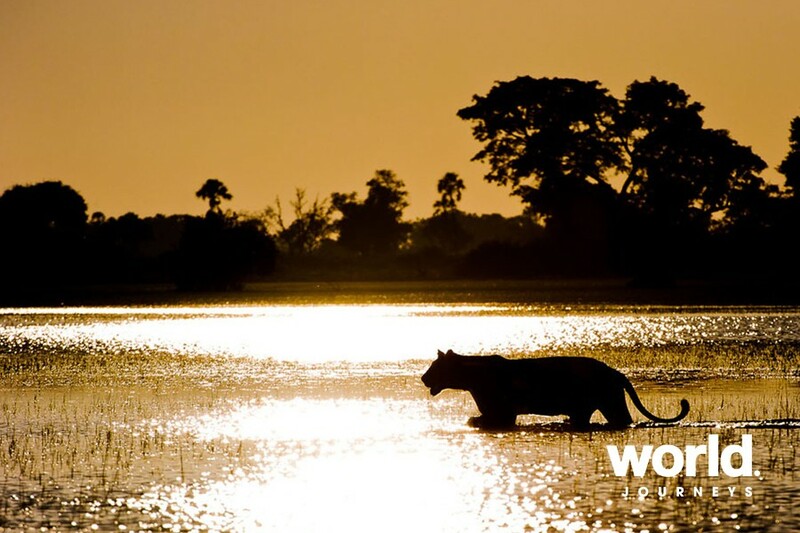 The vastness of the floodplains and skies provide the perfect stage for incredible wildlife experiences. 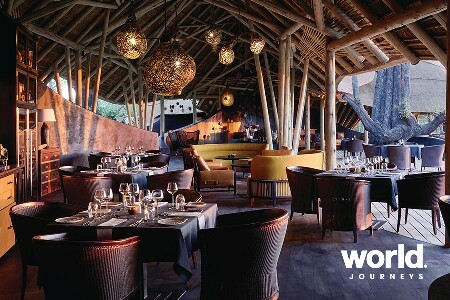 Nine customised luxury guest units share Jao Island with the spectacular main area, which features two plunge pools, a library and an outdoor boma for evenings of traditional food, song and dance. The views of the night skies over Jao cement its place in the safari firmament as a star among equals. INSIDER TIP: Make the most of the many luxuries offered such as the beautiful star bed sleep-out or a visit to the spa to feel utterly restored. 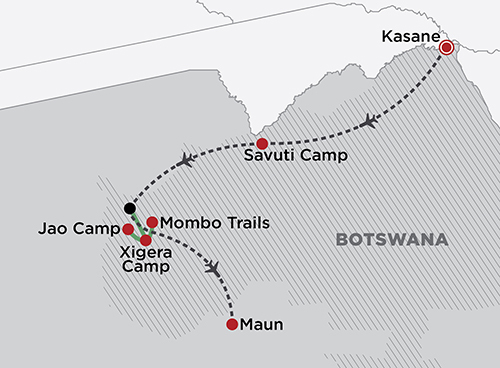 Upgrades are available to premier camps (Mombo Camp, Jao Camp, Selinda Camp). Itinerary is available in reverse, to & from Victoria Falls or to & from Maun. Pricing on request.